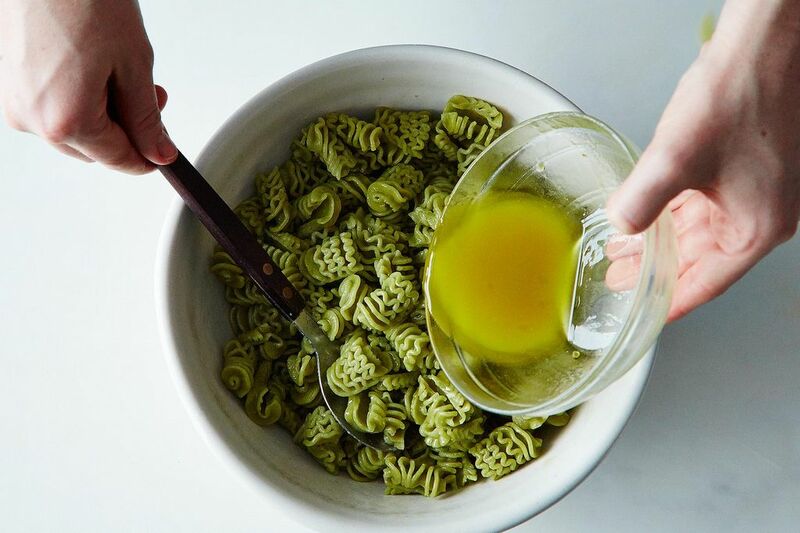 Today: Food52's Assistant Editor, Marian Bull, goes to bat for pasta salad -- and explains how to make it classy, without a recipe. By itself, pasta is inoffensive; same goes for salad. When combined, though, they conjure up memories of weird potlucks and scary deli cases. We wince at the thought of unevenly cooked bowties and bracing raw onions, of tiny cubes of bell pepper, accidentally pickled by a too-vinegary dressing. Its macaroni cousin is gloopy; technicolor versions feel like a sick '90s joke. We all have a little bit of sun-dried tomato PTSD. But pasta salad deserves redemption. 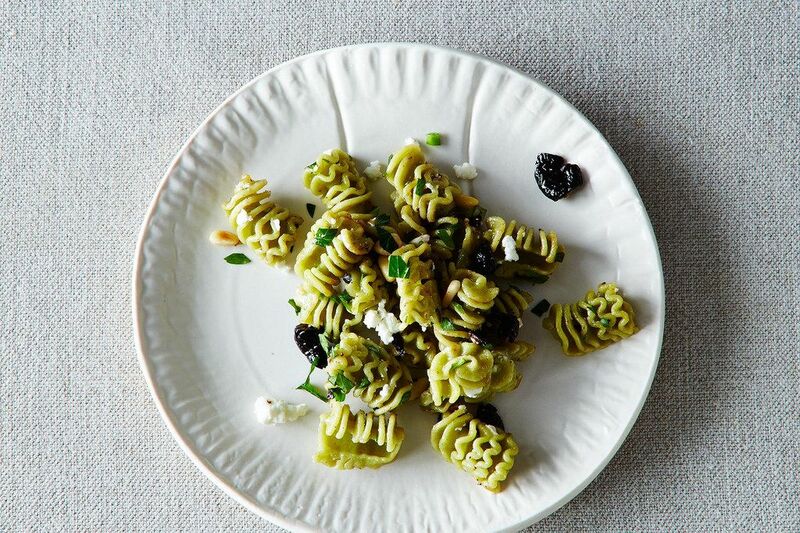 Pasta salad can be classy! 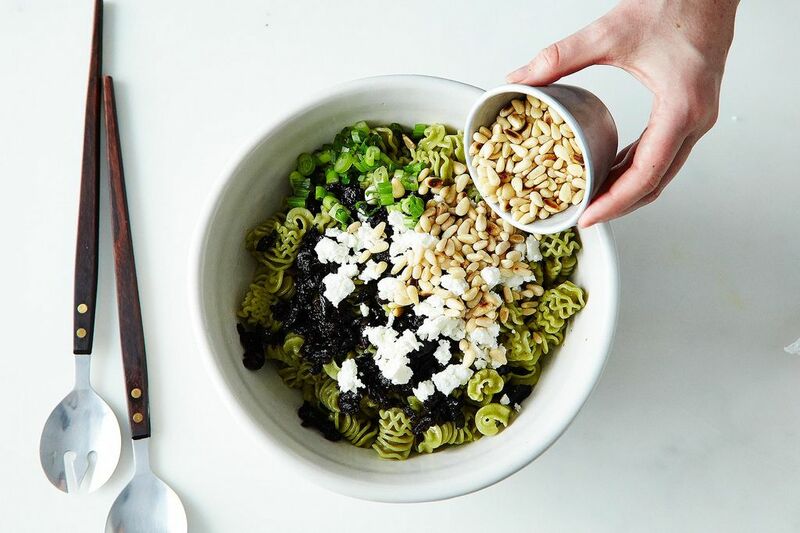 Like any good starchy dish, it's just a canvas for whatever flavors you feel like throwing together in a bowl, so you can go as low-brow (cubed cheese) or as high-brow (pine nuts, fancy vinegar) as you want. 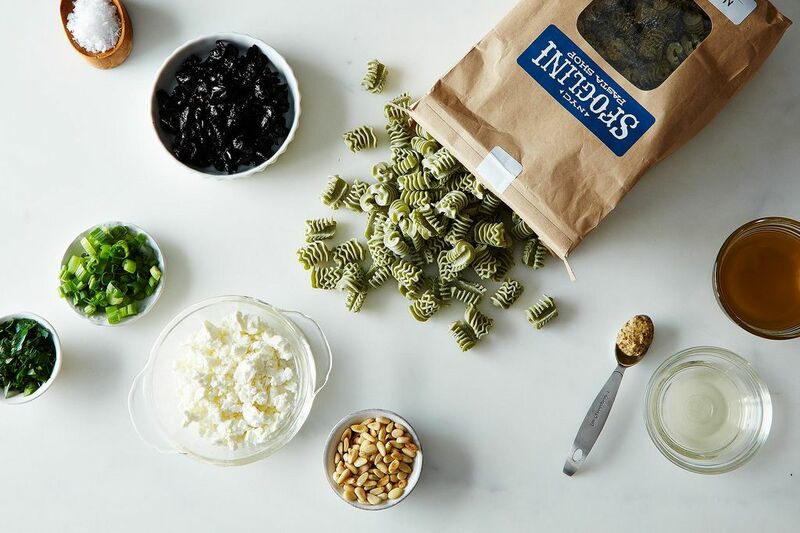 So let go of your bad memories and start anew with pasta salad -- you'll soon learn that it deserves top billing at your Memorial Day parties and inside your picnic baskets. All it requires are good, chewy pasta; a punchy vinaigrette; and enough crunchy and salty doo-dads to keep you on your toes. 1. Put on a large pot of water to boil, and salt it well. 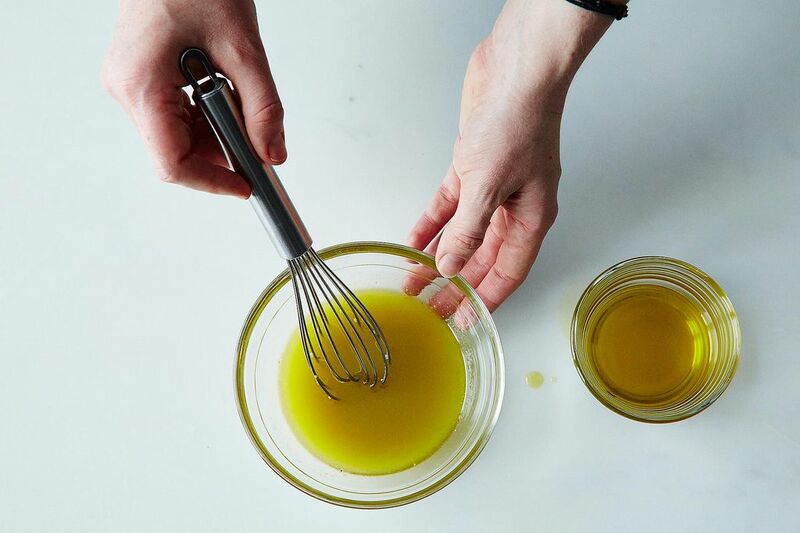 While that's happening, whisk together your dressing. I like a simple, mustardy vinaigrette (here's how to make one), with plenty of acid to give the salad a good tang. But use whatever dressing you like. 2. Cook your pasta to al dente. Drain it, but don't rinse it; the starch that lingers will help your dressing adhere and thicken. If you have leftover cooked pasta, that will work too; break apart any stuck-together pieces, gently, with your fingers. 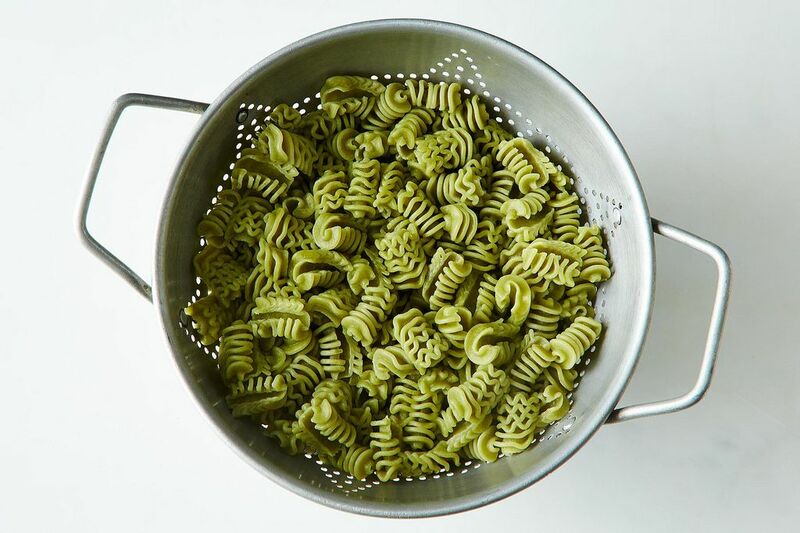 A note on noodles: Choose a short pasta shape you'll be able to eat in one bite, with a fork (or your fingers); good options include fusilli, orechiette, and -- my favorite -- radiatore. Something with nooks and crannies is best, as it will grab onto dressing, cheese, and other flavorful bits, rather than letting them fall to the bottom of the bowl. Save your bucatini and pappardelle for another day. More: Get these springy nettle radiators on Provisions. 3. Dress your pasta while it's still warm, and do so liberally; the pasta will absorb some dressing, and the last thing you want is a dry or sticky salad. I use somewhere between 3/4 to 1 cup of dressing for each pound of dried pasta. You want it to glisten! 4. This is where you really get to express yourself! Add your doo-dads now -- as many as your heart desires. 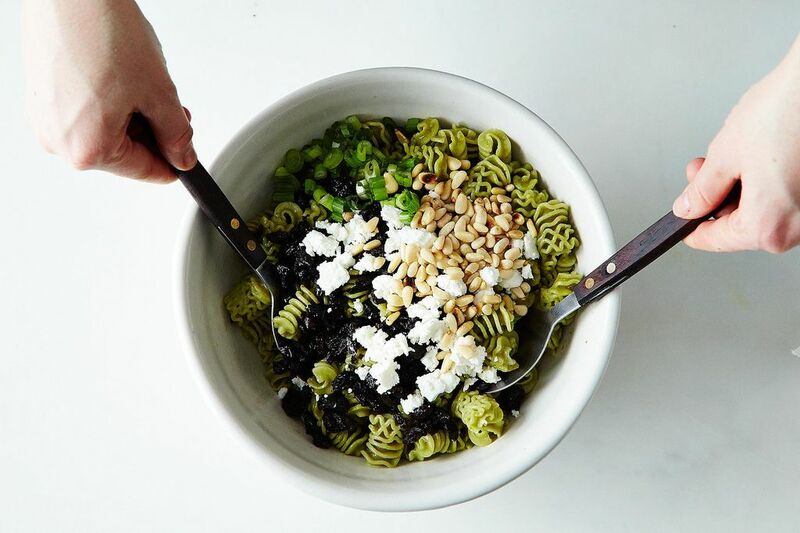 I like a somewhat Greek salad-inspired combination, with cured black olives, toasted pine nuts, feta cheese, chopped scallions, and fresh herbs. But you can also add sliced vegetables like cucumbers, snap peas, or even thinly sliced zucchini, when in season; chopped nuts and toasted seeds; and, yes, sun-dried tomatoes. If you're adding something watery, like an ultra-fresh tomato sometime in July, let it drain a bit to avoid drowning everything else. 5. Toss everything gently, so as not to completely pulverize your more delicate toppings; you want crumbly cheese to retain its crumbles. Add a big handful of herbs -- parsley does well here -- and toss one last time. Serve up in a big bowl, and watch your guests eat the entire thing, childhood scars be damned. Trying this one out next week. Love Food 52 & especially love James Ransom's work. He nails it EVERY time. Thanks for the inspiration! My favorite line from the movie As Good As It Gets....."Good Times...Noodle Salad.."
That looks delicious! I wonder if pasta salad may be the vehicle I need to overcome my dislike of whole wheat pasta? Must try. 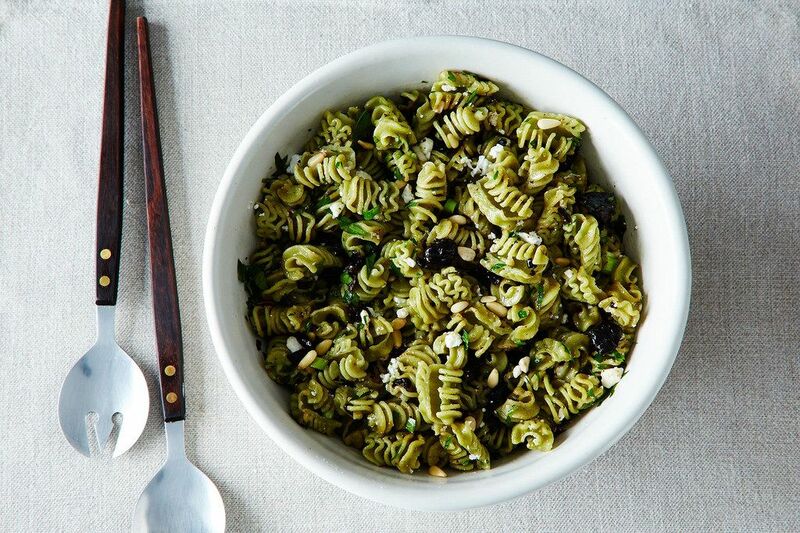 I want to eat this pasta salad, outdoors, every day until fall. Thanks for all the helpful tips, especially about not rinsing the pasta and how it's suppose to glisten. Now my pasta salad will be tastier and not so dried out. That pasta is so gorgeous and looks chewy in the best, best sense. It's odd how you're not supposed to wash pasta, but soba is considered unfinished unless it's "scrubbed" in the pot. http://thatumamilife.wordpress.com - a clean eating bento blog. Japanese or Asian-inspired.